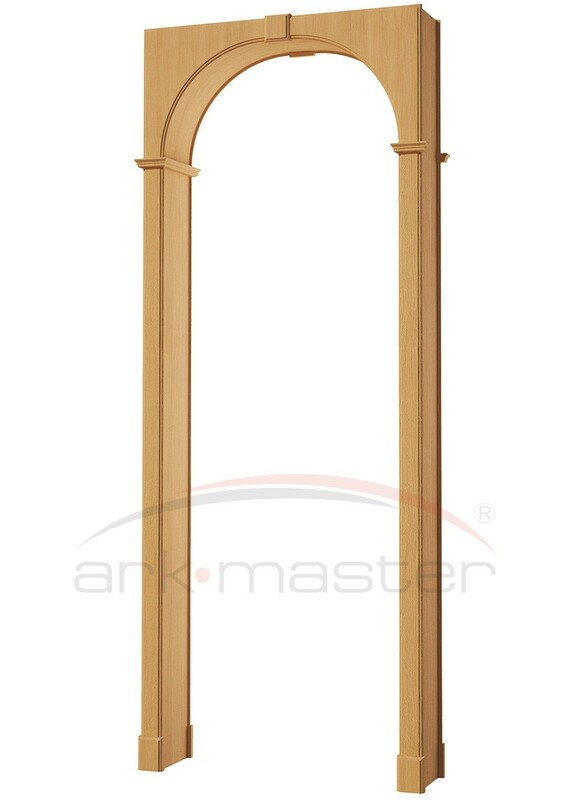 Cornice connection (80x250x55 mm) (a) or cornice (100x270x25 mm) (b) – 2 pcs. 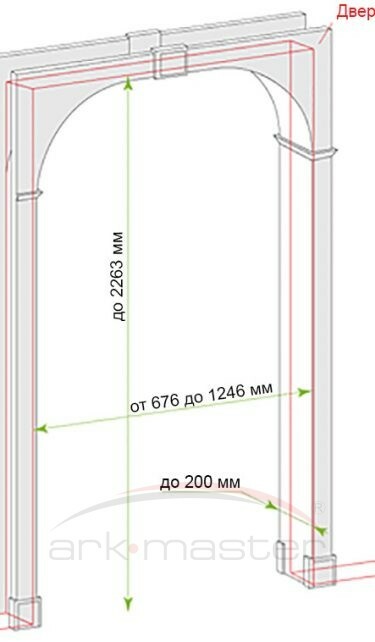 The size of the packed arch: 2030x349x54 mm. 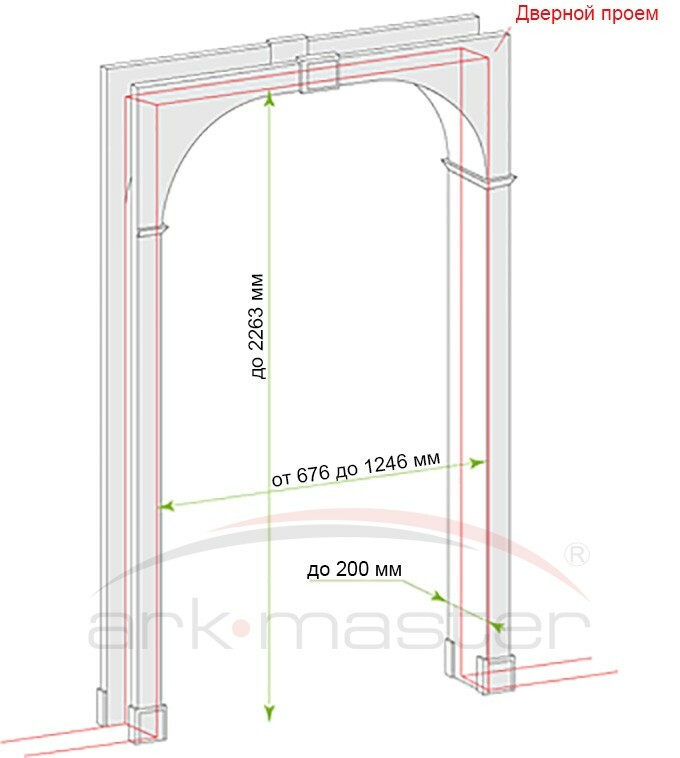 The average weight of a packed arch: 17 kg. 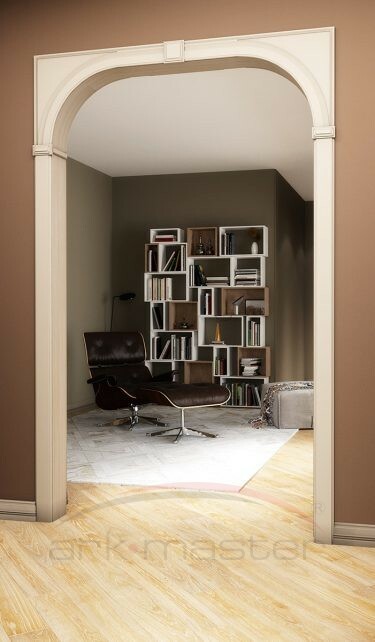 Elegant and neat the arch “Renault small” will add to interior light and freshness. 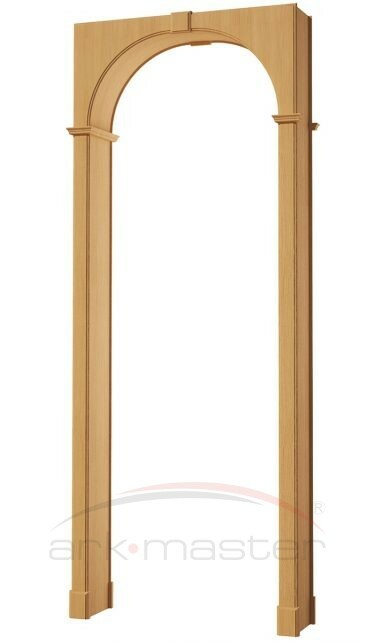 The width of the plat band is only 70 mm so the arch is suitable for installation in narrow doorways. 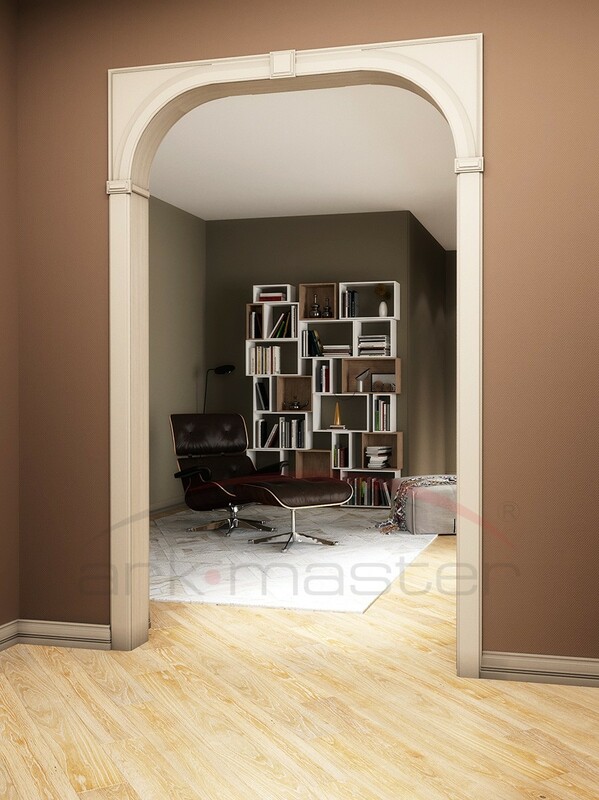 The rectangular shape of the arch allows making the installation of the arch simple: you do not need to process the corners of the wall opening. 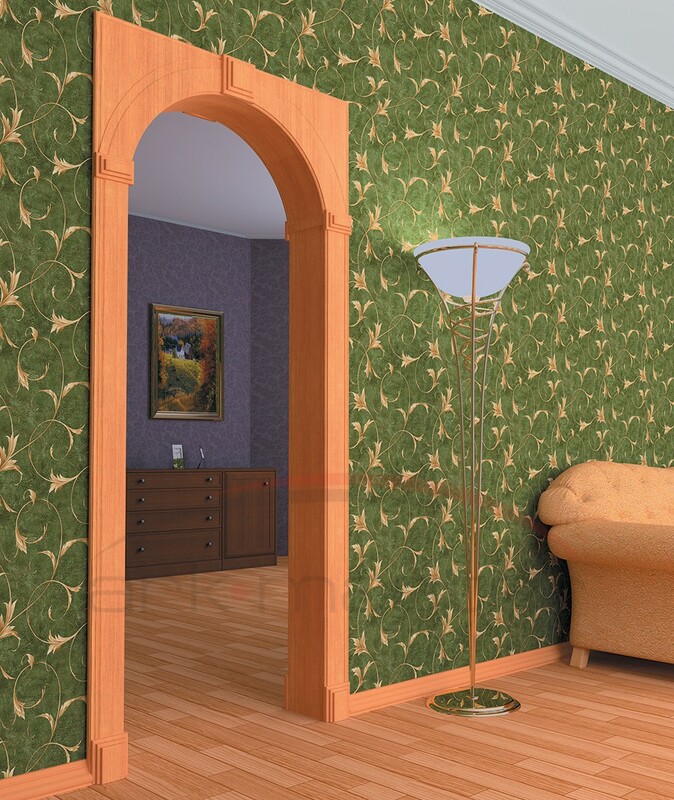 Four types of finishes and the variety of color solutions will allow to include this element of decor in a variety of design projects.